Last weekend I participated in a class at the Dreambank in Madison. 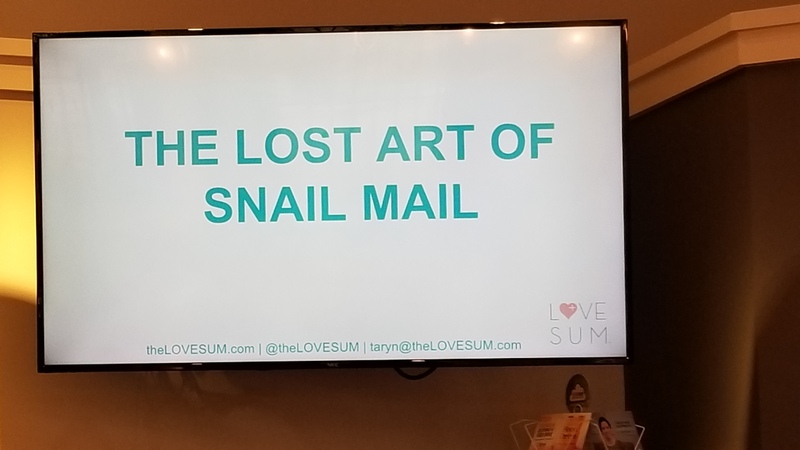 “The Lost Art of Snail Mail”, presented by Taryn of theLoveSum. She shared her views on the benefits to you and the person you are sending mail too. She didn’t have to twist my arm. I love sending cards and all the better when I receive a card back. The best type of cards are homemade ones. Taryn went over a few different techniques for making homemade cards. This was our chance to play and get messy. She showed us a technique using paint, water and soap, to make colored bubbles to stain our card paper. 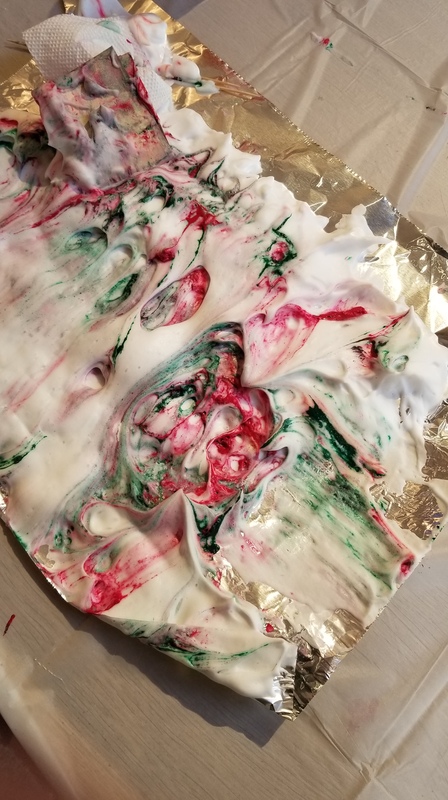 She also showed us a super messy but fun technique using shaving cream, paint and toothpicks. 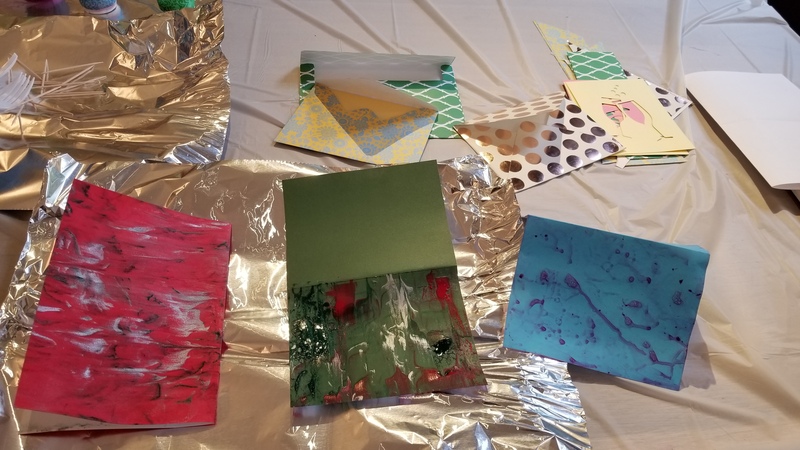 With all the hustle and bustle of the holidays coming up, take sometime to unplug, get messy and make cards to send to some special people in your life. Trust me, this gift is not only good for your soul, but a homemade card with a special note will also touch the person you are giving it to, and would mean more than any store bought gift. As a challenge…… Make a list of 5 special people in your life, and send them a homemade card. Doesn’t have to be fancy, but it does need to be heartfelt. Need some inspiration? Check out the links to these blogs to inspire you! Snail Mail: An (Almost) Lost Art.